Dual power (AC and DC) gives this 480 x 234 pixel color monitor lots of uses. 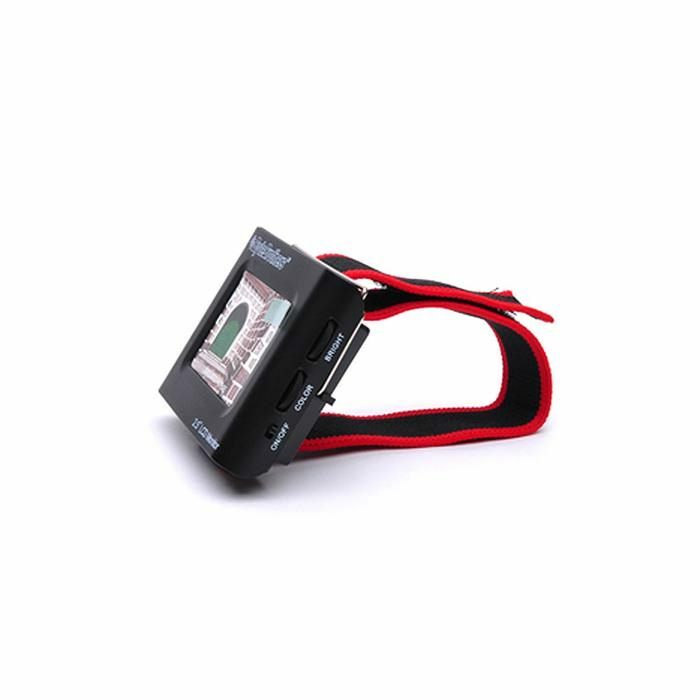 As a tool, strap it on your wrist (included) and use it to adjust CCTV camera angles and focus. The 4 hour removable battery provides plenty of work time. Compatible with all CCTV systems. 4 hour Li-ion battery, AC adapter, desk stand, wrist strap and pouch all included. 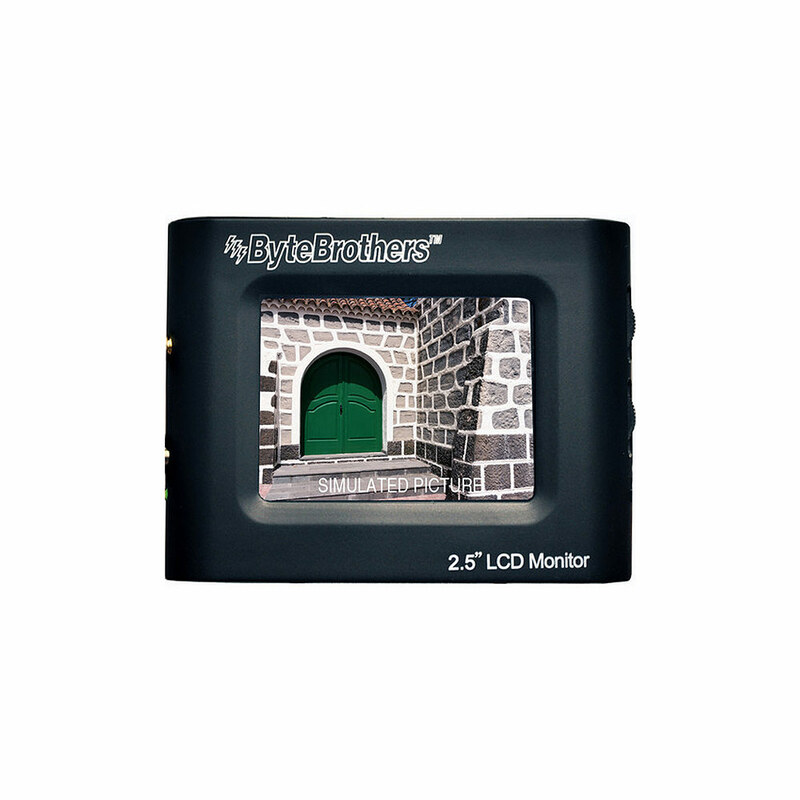 The Mini Monitor 2.5 is full feature CCTV color monitor, complete with color and brightness controls. It connects to your CCTV camera via a BNC connector (included). Operate the monitor using either the lithium-ion Rechargeable battery (4 hour operating life) or the AC adapter. Both items are included. Video Chip: Mini Monitor 2.5 uses Intersil’s NTSC/PAL single chip video decoder. It is durable and consumes very little power. LCD: The active matrix color LCD features 480 x 234 pixel resolution (2.5? diagonal). Continuous use: Connect the AC adapter for continuous use or recharging the battery. Lithium-ion battery: The rechargeable battery is removable and high capacity with a 4 hour life. LED: Red indicates charging. Green means ON. Desk stand and wrist strap (for portable work) included in package.